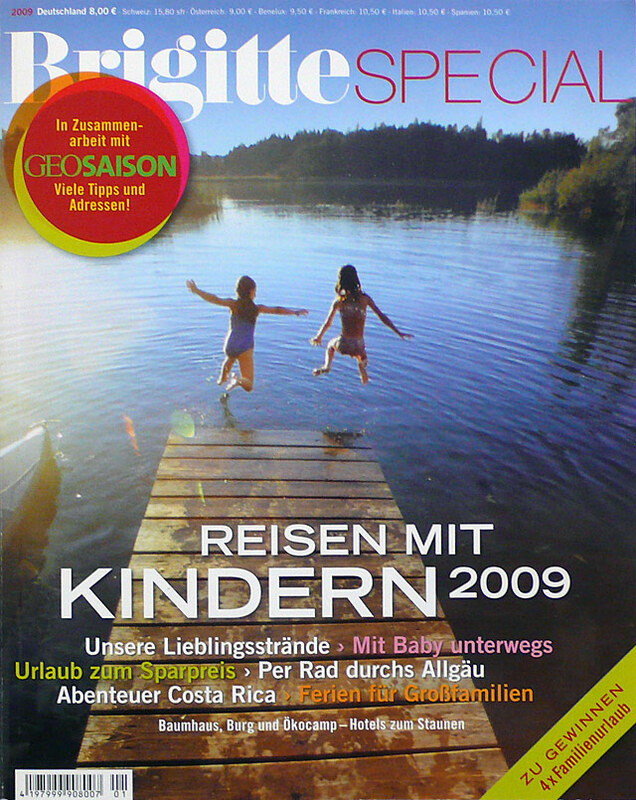 Double-issue | Both German travel / lifestyle magazines published this collaborative and otherwise identical issue with individual covers. 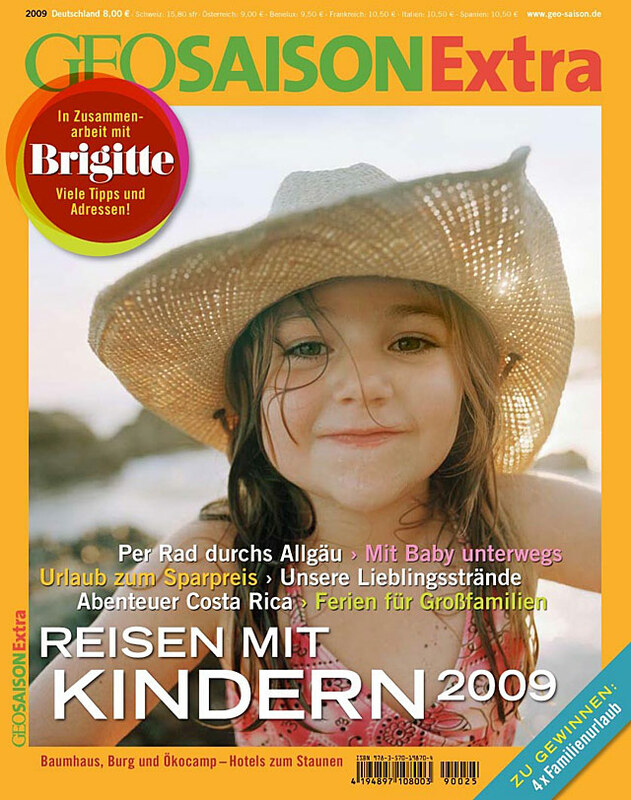 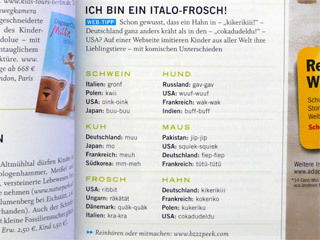 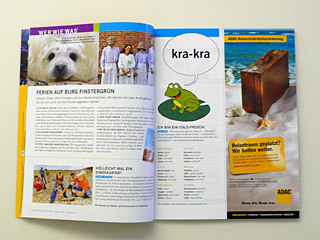 This 'Reisen mit Kindern' (Travel with Kids) special features 'kra-kra – Ich bin ein Italo-Frosch' – a website tip recommending FL@33's popular online sound collection bzzzpeek.com. 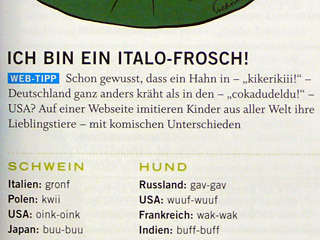 KRA-KRA – ICH BIN EIN ITALO-FROSCH!